The real-time water-use meter for the greywater piping system (still using potable water), is scheduled. The work is scheduled to be done 11/23 – 11/25, 2017. 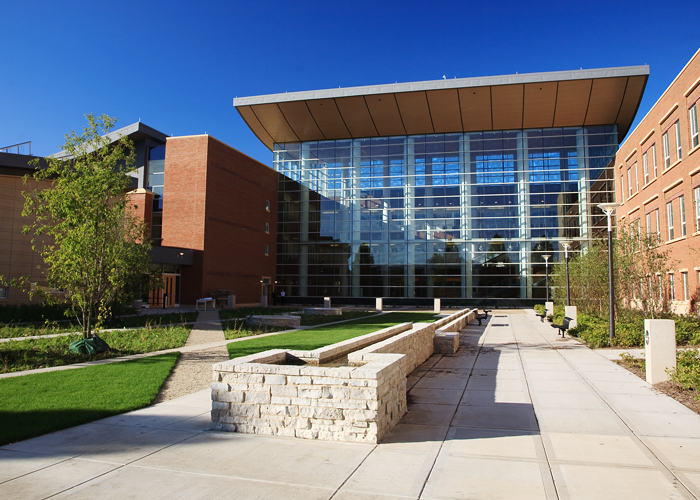 The Business Instructional Facility (BIF) was designed for future use of greywater, which is raw (untreated) water. Although the building is fed from the potable water supply, there is separate piping for the urinals and water closets in the building. BIF is unique in that it was constructed with a separate raw water system that conveys non-potable water to be used for purposes such as flushing toilets. While the system is in place inside the building, it was never connected to an outside source of non-potable water. Use of non-potable water for purposes such as toilet flushing, landscape irrigation, cooling, etc. is recognized as a sustainable practice (e.g., Asano et al, 2007; EPA, 2012). Data to quantify the impact this could have on water use at UIUC, however, is largely unavailable. Metering the raw water system at BIF would provide data about the temporal total and non-potable water demand at a typical campus class/office building. These data would be valuable to consider whether such systems should be considered in future campus construction and renovation. The Water and Stormwater SWATeam recommended installation of a greywater meter, and the Student Sustainability Committee funded $5,000 toward the installation. To see all SSC funded projects look at the SSC funded projects collection.